Timothy McKenzie (born on 21 March 1989 in London, England), better known by his stage name Labrinth, is an English singer-songwriter and record producer. Labrinth has achieved one No. 1 hit and another No. 2 hit in the UK after both in collaboration with rapper Tinie Tempah on his songs "Pass Out" and "Frisky". "Pass Out" won the best British Single at the 2011 BRIT Awards. 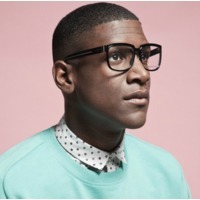 Labrinth is signed to Simon Cowell's record label, Syco, becoming the first non-talent show signing in six years. Initially McKenzie was tipped to work as a producer, but Cowell signed him as a solo act. Timothy started his big time career by producing for Master Shortie in his debut album A.D.H.D.. This gained a buzz within the industry and he was then picked up by Guy Moot EMI publishing he is also producing and featuring on Tinie Tempah's BRIT Award winning single "Pass Out", which entered the UK singles charts at number 1, becoming Tinie Tempah's first single to top the charts of which Labrinth co-wrote and featured. In June 2010, Labrinth and Tinie Tempah collaborated again, on the single "Frisky" which debuted at number 2 in the UK; although it became the duo's second single to top the UK R&B Chart. Labrinth provided vocals on Professor Green's track "Oh My God" taken from his debut album Alive Till I'm Dead. He is currently writing songs for Professor Green, Pixie Lott, Preeya Kalidas and Loick Essien and is remixing songs from JLS. He remixed the single Stylo by Gorillaz, adding vocals from collaborator Tinie Tempah. The remix appeared on the band's succeeding single On Melancholy Hill. He has also produced for Canadian artist Raghav and appears in music video of Raghav's single "So Much". Also he produced Master Shortie's single "Dead End", which is featured on the chorus but uncredited, and appears on the music video.